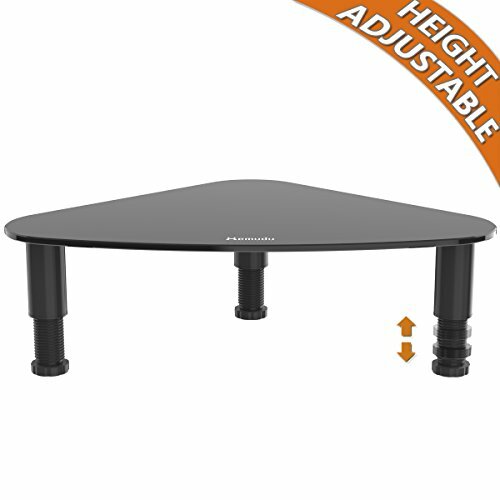 Range of application: this large stand is ideal for monitors, laptops and TVs, raising your screen for better visibility and improved comfort. Extensive use: By raising your screen correctly, the stand can help to reduce the strain and discomfort on the neck and back which can be caused by sitting stationary for long periods of time. Perfect for computer monitors, TV's, streaming devices, A/V equipment, printers, and more. Max weight capacity up to 88lbs. Allows you to maximize existing desk space and is wide enough for a keyboard to slide under. Fully assembled size: 15 x 10.2 x 3.4 inches. If you have any questions about this product by Hemudu, contact us by completing and submitting the form below. If you are looking for a specif part number, please include it with your message.